To teach the vocoder to interpret brain activity, the researchers worked with a group of epilepsy patients who were already undergoing brain surgery. The patients’ brain activity was recorded as they listened to someone recite the numbers zero through to nine. The signals their brain activity generated were then run through the vocoder, which turned the signals into speech. The researchers then used neural networks, a type of artificial intelligence that mimics the workings of the human brain, to analyse and clean up the sound produced by the vocoder. What they were left with was a robotic-sounding voice that recited the numbers the patients were hearing. About three-quarters of the time the numbers were correct and understandable, which lead author Dr Nima Mesgarani described as being “well above and beyond any previous attempts”. The revenue flow is what matters most, he says, “and it has to keep running under every scenario,” and that includes tech problems—whether an outage, a security breach, or spike in demand. “And it has to deliver a less than one-second response time for a very complex account activation process,” Heller says. The company “won’t make any decision that threatens that performance.” That’s not to say these IT teams aren’t looking to cut costs—they always are. In fact, he says, IT teams “feel a responsibility to always provide three things: effectiveness, efficiency, and risk mitigation,” Heller says. “Does it do what it’s supposed to? Is it a reasonable cost to buy and maintain? Does it avoid risk and ensure business continuity? Every decision they make, every attribute of a solution, should include all those things.” With rare exceptions, businesses won’t put these mission-critical workloads on first-generation clouds. “They just weren’t built for it,” Heller says. As a data scientist, it’s vital to understand what you can bring to an enterprise - whatever their business is, however big they are. An intelligently-designed data-collection campaign can reveal detailed demographics for a company’s customer base so that they set their marketing teams in the right direction. By wasting less time and money on random advertisements, institutions can expect a more significant ROI, happier clients and better branding. Branding is vital for any company, and the more endorsements pop-up with a company’s name, the more likely an individual is to recognize the name and buy it. A data scientist can understand trends in the market, identify patterns, and suggest best practices. They are problem-solvers and analysts, so businesses across America rely on them to provide the best information. Of course, to be an asset a data scientist also has to understand the industry they’re working in. Smith and Ryan cautioned that it's too soon to try and attribute the attack (see Stop the Presses: Don't Rush Tribune Ransomware Attribution). "Accurate attribution of a cyber incident takes time and investigations are being undertaken in conjunction with the relevant security agencies," Smith and Ryan said. "We are not in a position to provide further information publicly at this stage. Updates will be provided to members and senators and the media as required." The head of the Australian Cyber Security Center, Alastair MacGibbon, declined to speculate about the identity of the attacker. "My primary concern is making sure we get that offender out and we keep the offender out," he told Australian Associated Press. 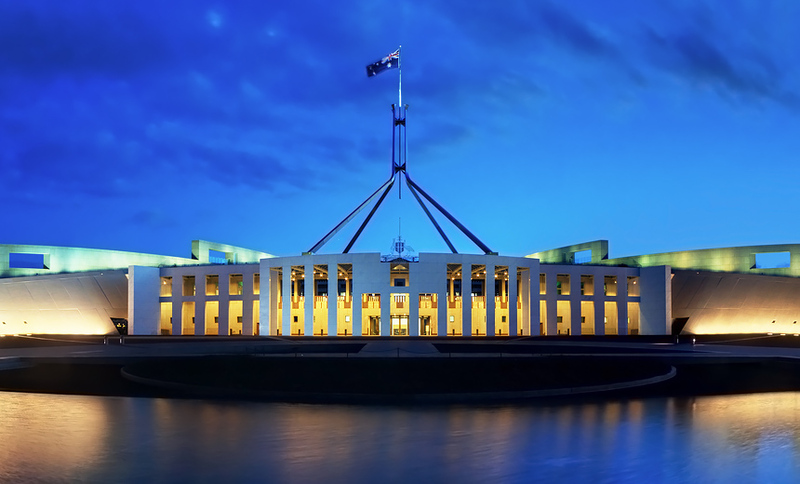 Addressing reporters on Friday, Prime Minister Scott Morrison likewise declined to speculate about the identity of the attacker, and he reiterated that the attack appeared to be limited to targeting Parliament's network. "I should stress that there is no suggestion that government departments or agencies have been the target of any such incursion," Morrison said, Associated Press reported. A lone-wolf attacker cannot overwhelm the quantum state with random information. “The correct state (i.e. initial state) can in principle be recovered using purification or distillation schemes,” say Johnson and co. But if quantum terrorists work in unison, an entirely different scenario unfolds. Johnson and co show that if several attackers inject their quantum information into the network at the same instant, they can disrupt the global quantum state. In that case the initial state of the system cannot be retrieved, even in principle. How many terrorists are needed for this to happen? The shocking conclusion is that it requires only three or more quantum terrorists working in unison. “Our findings reveal a new form of vulnerability that will enable hostile groups of [three or more] quantum-enabled adversaries to inflict maximal disruption on the global quantum state in such systems,” say the team. What’s more, these attacks will be practically impossible to detect, since they introduce no identifying information; they require no real-time communication, since the terrorists simply agree in advance when to attack; and the attack can be over within a second. Algorithms do reflect the brilliance of the engineers who craft them, as well as the power of iterative processes to solve problems in novel ways. They can answer the specific questions we bring them, or even generate fascinating imitations of human creations, from songs to screenplays. But we are mistaken if we look to algorithms for direction. They are not consciously guided by a core set of values so much as by a specific set of outcomes. They are unconsciously utilitarian. Yet without human intervention, technology will become the accepted premise of our shared value system: the starting point from which everything else must be inferred. In a world dominated by text communication, illiteracy was seen as stupidity, and the written law might as well have been the word of God. In a world defined by computers, speed and efficiency become the primary values. To many of the developers and investors of Silicon Valley, however, humans are not to be emulated or celebrated, but transcended or — at the very least — re-engineered. Phillips points out that robots are already serving comforting roles. The category of home robotics still hasn't extended far beyond robot vacuum cleaners, but in settings like hospitals and senior care facilities there's significant experimentation around companion bots that can brighten days and lift spirits while performing basic care needs. There's also the increasing "realness" of robots to consider. Phillips points out we may be coming out of the Uncanny Valley as robotics designers make increasingly lifelike robots that feel less creepy than human simulacrums of just a couple years ago. That means robots are becoming increasingly convincing as they pass for human. Couple that with the fact that people are already demonstrating a preference for artificial relationships. Phillips cites a Japanese craze among the Otaku subculture of playing dating video games in which players establish relationships with computer characters. It sounds weird, but given what we know about Attachment theory it's not all that different from the Tomagotchi craze that's more familiar here in the U.S. Pair programming tasks a couple of developers with working together at a single computer, jointly solving problems and devising code, with one dev typing in code while the other reviews it. "The best way to become a 10x developer is to teach nine other developers to do your job as well, not to get ten times better," she told the O'Reilly Software Architecture Conference NY 2019. "So let's talk about how you scale your skills by sharing your skills, sharing your experience with other people, my favorite way is pair programming." However, Gee isn't just an advocate for developers pairing up, but also for programmers working alongside other employees who play a key role in shaping software. "Pair programming is, in my opinion, the best way to share knowledge around the team, particularly for developers, but not just limited to developers. As counterintuitive as it may sound, the future is in the past. A sophisticated understanding of the past is one of the most powerful tools we have for shaping the future. When choosing a domain extension, do some research on these two aspects ... The true importance of using a new domain extension is to creatively brand your startup. For instance, if you are a new eCommerce business you can pick a .store domain extension or if you are starting a media business then you can pick a .press domain extension. Similarly, for your tech startup, you can pick a definitive .tech domain extension that is globally associated with the word technology. But before you jump to a name of your choice, do some research to see whether it is free of any political, legal or ethical controversies. ... By not taking suitable measures to protect the domain at the time of registration, you can make your website susceptible to brandjacking. This means that cybercriminals can take over the control of your website with the intention of ruining your reputation. Trust is now a defining factor in an organization's success or failure. Indeed, trust underpins reputation, customer satisfaction, loyalty and other intangible assets. It inspires employees, enables global markets to function, reduces uncertainty and builds resilience. The problem is that - in today's environment - trust isn't just about the quality of an organization's brands, products, services and people. It's also about the trustworthiness of the data and analytics that are powering its technology. KPMG International's Guardians of trust report explores the evolving nature of trust in the digital world. Based on a survey almost 2,200 global information technology (IT) and business decision-makers involved in strategy for data initiatives, this report identifies some of the key trends and emerging principles to support the development of trusted analytics in the digital age. At a time when machines are increasingly working in parallel with people, this report identifies the clear need for improved and proactive governance of analytics.